Kudos to Senator Kamala Harris for regenerating the Obama spirit and his base in her Town Hall meeting at Drake University in Iowa on January 28. However, as time passed, it struck me that there was something missing in her words. There was a key base that she failed to touch. Harris talked a great deal about the aspirations of those in the traditional Democratic coalition – racial minorities, women, young people, college graduates, recent immigrants, etc. She demonstrated that she is indeed an inspirational candidate, much as Barack Obama was in 2008. But things are different now than they were in 2008 when Obama ran his first presidential campaign. At that time, the country was going through a major recession. Obama’s semi-progressive message resonated with many white blue-collar workers who were suffering the pains of unemployment and under-employment. These disenfranchised people were willing to give him a chance, as generations of union members and other workers had given to Democrats in recent decades because the party of FDR, Truman, Kennedy and LBJ had consistently advocated their economic interests. Eight years after Obama’s election, he had the economy booming. Ironically, his success became a bit of a disincentive for people to vote for Hillary Clinton in 2016. By that time, many were more economically secure. The social issues that Trump referenced (while not personally practicing) resonated with many of them. The conventional wisdom was that Clinton assumed that white voters in these traditional Democratic states would provide her with the margin of victory as they had for Obama. But as we all know, that didn’t happen. 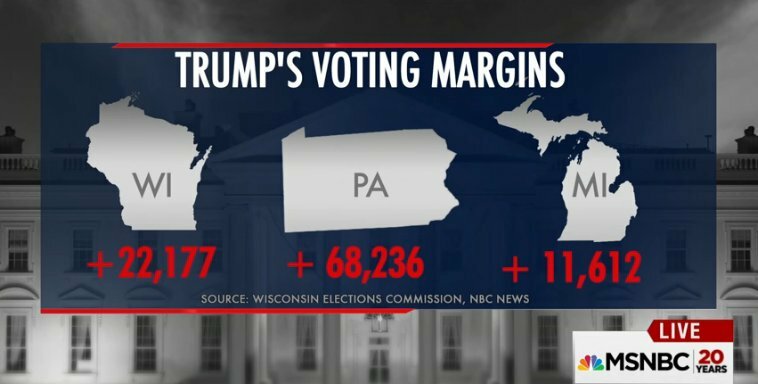 Even if Russian interference in the election played a significant role in turning these three states from blue to red in 2016, Clinton’s decision to not make special efforts to campaign in Pennsylvania, Michigan and Wisconsin in late October and early November made a difference. More important than where she campaigned was her omission of frequent references to these white voters who saw themselves as left out of the Democratic tent. The same omission was apparent in Kamala Harris’ town hall meeting. She effectively rallied her base but did little to build a bridge to the voters who will make a difference in whether or not she could be (a) a viable presidential nominee for the Democrats, and (b) able to defeat Donald Trump or some other Republican nominee in the 2020 presidential election. Hopefully she will learn from Hillary Clinton’s campaign. Perhaps this will happen in different Q&A settings for her where she is directly asked about how she will address the needs of the so-called “forgotten voters;” the white middle- and lower-income citizens who carry a great deal of bitterness in them, particularly about what they consider to be preferential treatment for “other people,” i.e. the people not like them. Franklin Roosevelt was able to cobble together a program and strategy that appealed to virtually all Americans who struggled economically. In a sense, it was easier then because race was not an issue at the forefront of political conversation. Kamala Harris needs to find a way in a climate of racial and ethnic tension to convince all Americans who face economic challenges that as president she would be thinking about them. The flawed Bill Clinton was able to do that and so was Barack Obama. Both Clinton and Obama were undercut by what Hillary Clinton accurately called the “vast right-wing conspiracy.” Kamala Harris has to work to build enough base that she can minimize the damage of extreme conservatives. That will not be easy, but the first step will be to be more inclusive to Reagan Democrats and Trump voters than she was in Monday night’s town hall in Iowa.